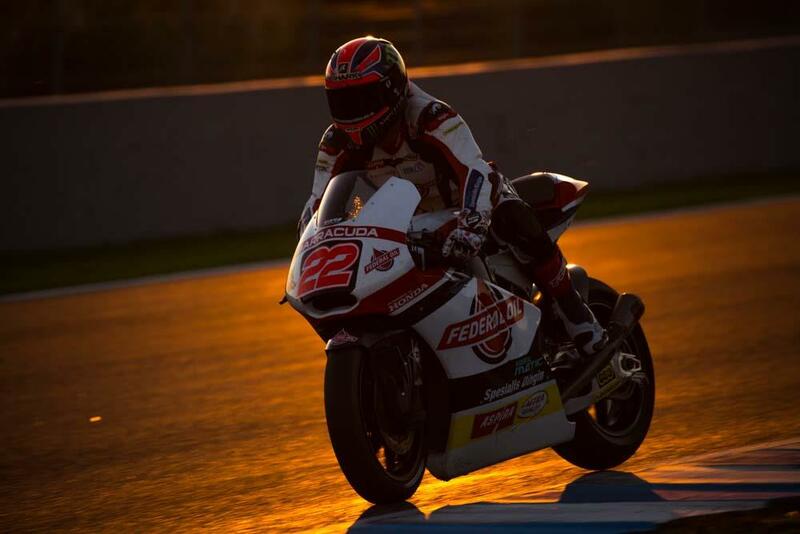 Sam Lowes struggled to contain his excitement as he assessed his first test with the Gresini squad and the Kalex that he'll ride next year in Moto2. "Today was so positive," beamed Lowes. "The bike feels so good but it's mostly the consistency that is impressing me. It's so easy to be fast and have a good rhytmn with the Kalex. I was in the 42's all day and it felt so good! I didn't go for a laptime in the afternoon because my hand was still hurting so instead we tried a few things. "The team wanted to try a couple of things that weren't specifically for Jerez so we moved the front of the bike around, changed the pivot and generally just tried a lot of different variations on the bike. Some things helped us for this track but mostly it was good for me to learn the bike and learn the Ohlins suspension." For Lowes the opportunity to test was a rare chance to learn about the bike. In the past with Speed Up he felt that he was constantly having to go out looking for a laptime rather than searching for ways to set the bike up better. "I'd say that this is the first time that I've been testing because in reality with Speed Up we didn't test like this instead we always needed to make sure that we set a fast lap time. It was really nice today to be able to ride without the pressure of doing that and focus on learning the bike. We never really new parts to test or to learn how they reacted so this was a really positive day for me. "The support from Ohlins and Kalex was great because there was an engineer in the garage with my every time I left the box. On Thursday we focussed a lot more on setting a time but today the times came so easily and we could just focus on learning the bike. Our consistency was great I know that being able to set a fast time in qualifying will come when I need it to. "I've had three poles on the Speed Up so I know that I can do that. But it's not fast times that win in Moto2 it's consistency and with this bike I can be consistent. Now I know why it was tough at the end of races for me this year and it's great to see that now because I'm on the other side of the fence and using the Kalex!"